After a long and quite stressful semester the two Father Jordan Youth groups from Talon and Maymangga had a chance to spend some tranquil and peaceful moments in a recollection together. Unlike other times, this recollection was held at a beautiful parish in Silang, Cavite – San Antonio de Padua Parish – instead of Father Jordan Formation House. December 1st Saturday was a remarkable day for the entire vicariate as we had the Christmas party for 1100 children of Puso sa Puso at Benigno Aquino Sr. Elementary School, Quezon City. Last November 17 and 18, some brothers and Father Jordan Youth Talon members were invited to the Seventh Vocation Festival organized by the Rogationist College, Silang, Cavite with the theme Bokasyon: Bungan ng Nag-aalab na Pananampalataya (means Fruit of the Blazing Faith in English). Make an end is to make a beginning. The calendar year 2012 is coming to an end and 2013 will give us familiar situations and perhaps unexpected twists. 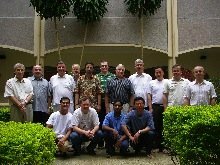 Mother of the Saviour community in New Manila is also thankful to the Divine Saviour and His Mother for their accompaniment and providential care. 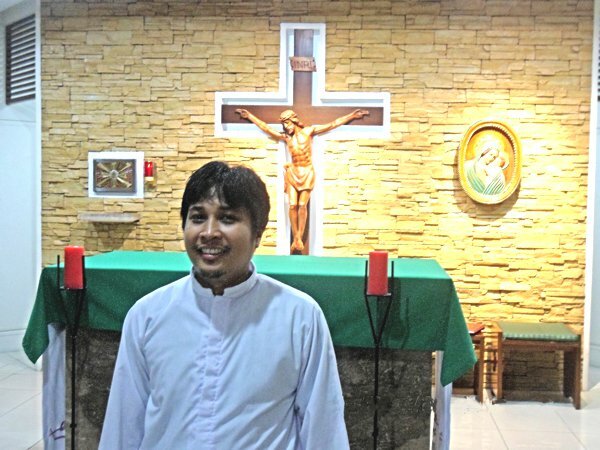 The New Manila community gathered for a special occasion, Thursday evening, June 28: the renewal of vows by Brother Omar Oyengoren, SDS. Bro. Omar made his profession before Fr. Christopher Kowalczyk, SDS, main celebrant at the Mass. 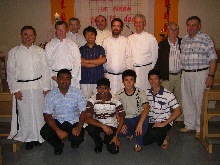 Following the Mass, all gathered in the dining room for a special meal prepared by several of the theologians. 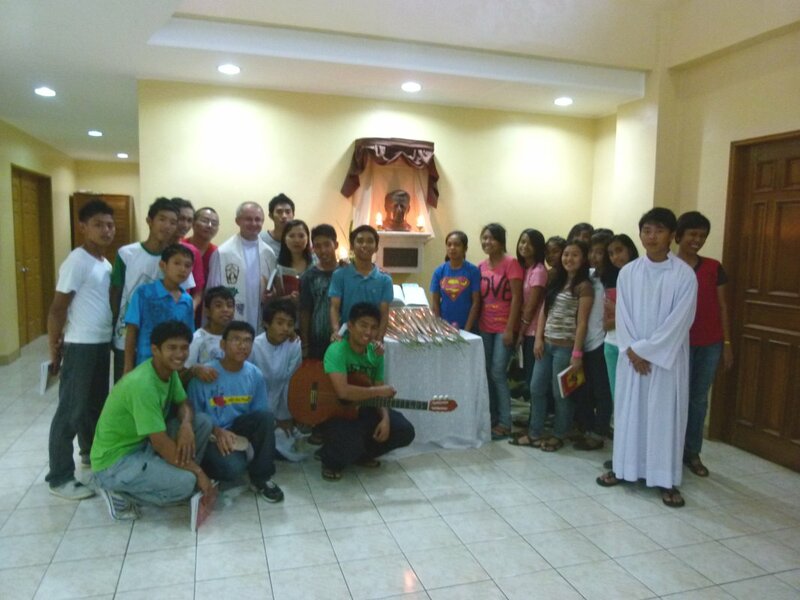 On Saturday, June 16, 2012, the Father Jordan Youth (FJY) in Talon, Amadeo joyfully commemorated the 164th Birthday of our Venerable Founder Father Francis Jordan in a very simple and yet so meaningful way. 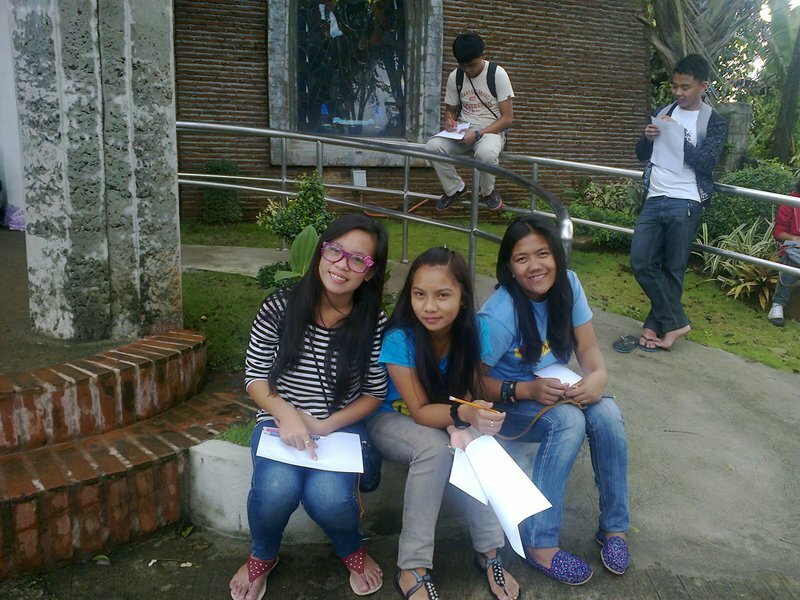 At 5 pm, they gathered together in the Chapel with the presence of Fr. Adam Janus. He gave a short prayer and they then all processed to the statue of Fr. Jordan in the front part of the house. There the main ceremonies took place. 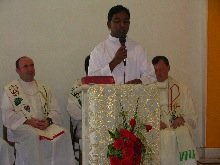 Andy, one of the youth members, read formally the early life of Fr. Jordan. This year we started our Summer Class in May 2, 2012 and ended in May 17, 2012. Wednesday was the beginning of the summer class 2012. First of all, the students had their enrollment ahead of the day before the summer class started, and then we had our opening ceremony together with a liturgy which was celebrated by Fr. Wilson in our house chapel. 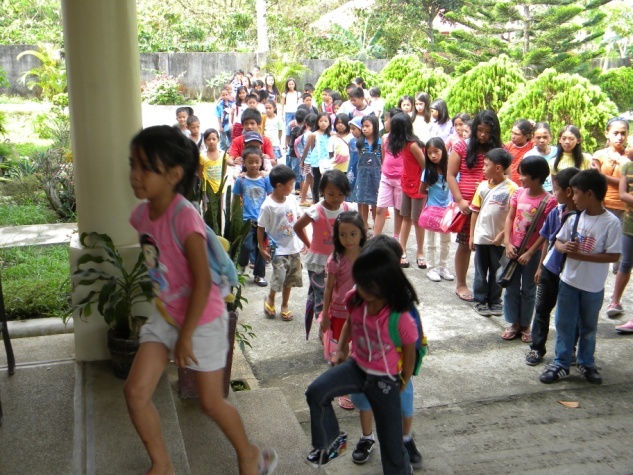 Then the children had basic orientation for their first class before they were dismissed around 11 am. 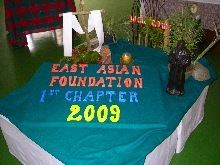 Like in previous years we had great support by Ate Lerma and volunteer teachers from our Fr. Jordan Youth.